Many distilleries in Scotland dominate towns, non more than Oban. The distillery overlooks the harbour and sea at Scotland’s western coast and has done since 1794 when two brothers, Hugh and John Stevenson founded the distillery on the site of an old brewery that they ran. Just before the turn of the twentieth century, Oban became part of the Oban and Aultmore-Glenlivet Company. In 1925, the company was acquired by Distillers Company Limited and five years later it was transferred to Scottish Malt Distillers. Following a brief few years of silence, the Oban whisky distillery reopened in 1937 and remained open until 1968 when the distillery was closed for renovation. 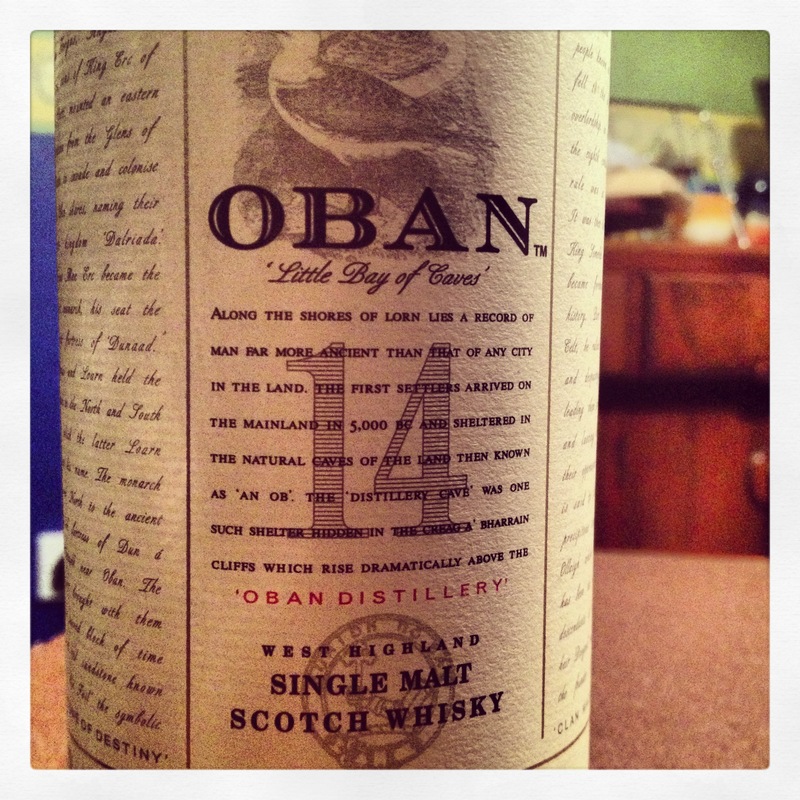 In 1972, the stills of Oban ran with spirit once more and in 1988 parent company United Distillers released the Classic Malts range, Oban being the Western Highlands’ representative in said range*. During its history, Oban distillery has always been the hub of the town and features in many town painting and sketches that depicted Oban life. Dominant soft citrus on the nose with notes of the sea and medicinal aromas. Sweet citrus on the palate with flavours of honey, orange and lingering fudge. A slightly dry finish. A great one man band so to speak, and very different to other Highland whiskies out their. Worth a dram if you ever come across it in a bar, specialist shop or indeed your friends drinks cabinet. * History depicted from the Master of Malt Oban distillery page.